Double short handle bamboo tote bags, made from one of the world’s fastest growing plants. Ideal for environmental projects as bamboo is a renewable resource and biodegradable. 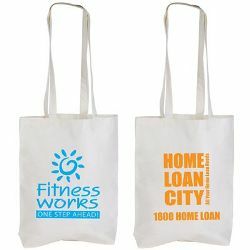 Printing: Price includes 1 colour 1 position print.